Posted on May 18, 2015 by Cynthia Jaffe, D.C., NP-C, F.I.A.M.A. Q: Cynthia, I’m admittedly a carb lover which has put me around 30 pounds overweight. My goal is to lose weight and get muscle definition instead of the fat I am carrying, especially around my waist. Do you think I should join a “boot camp” exercise program? A: Work out for your health, but forget about working out just for your weight, say the experts. 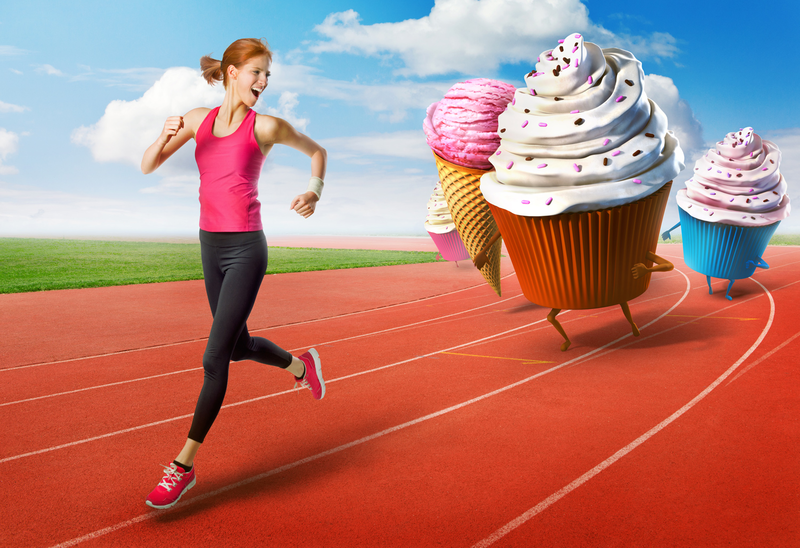 Granted exercise can help lower your lipids, improve your sugar levels, and reduce the risk of stroke, depression, arthritis and certain types of cancer, but according to an editorial in the British Medical Journal of Sports Medicine, “You can’t outrun a bad diet”. “We’ve been falsely lulled, by the food industries public relations machinery into thinking that we can just eat whatever type of junk food we want and drink sugary drinks and all we have to do is just exercise,” they complain. “The health halo legitimization of nutrient deficient products, must end…it’s misleading and unscientific,” they state. Besides, after much debate on the weight loss benefits of exercise, studies have concluded that the emphasis from exercise should be on the health benefits and not on weight loss- as disappointing as this may sound, exercise alone will provide lower than expected results. But that is not what we have been told, is it? We’ve been taught calories in equal calories out. We can eat that cupcake, blueberry muffin, or bagel with cream cheese, and just go to the gym for a couple of hours, right? Wrong! We need to stop blaming obesity on eating too many calories and not exercising enough. That’s way too simplified. A calorie is not just a calorie. Calories from simple carbohydrates such as white bread, white rice, pasta, potato (technically a complex carb but acts like a simple carb) or sugary foods such as pastries or sodas affect your body much differently than fruits or vegetables and whole wheat or higher in fiber foods or complex carbohydrates. Simple carbohydrates have shorter chains of sugar molecules, are less nutrient dense, more readily turned into fats and they encourage us to eat more of the same type of carbohydrates simply because they break down more quickly into energy and leave us not very full or satisfied. Compare that to a complex carbohydrate-higher in fiber, vitamins and minerals, and lower in sugar content, taking longer to digest and leave us more satisfied. If you want to lose weight, cut out those simple carbs “you love.” You’re not ‘doing a body good’ by them. Incorporate more fruits and vegetables and substitute foods such as white bread for whole grain (but keep bread to a minimum) and get rid of sugary foods such as soda, cookies, cakes and processed foods that come in a bag or box- loaded with high fructose corn syrup. If you need guidance, work with a nutritionist who can personalize a diet plan for you. Let’s now talk exercise. Go ahead and bulk up for beauty. You’re more likely to now lose that weight. ← Is The Era of Coffee As A Guilty Pleasure Over?